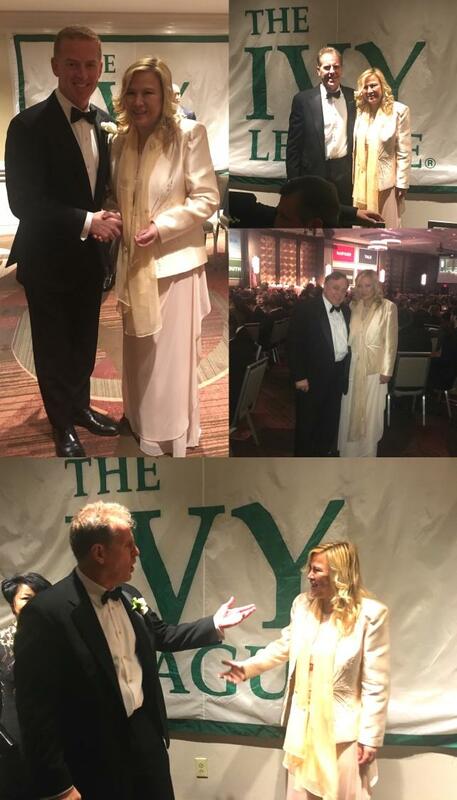 NEW YORK, NY / ACCESSWIRE / January 31, 2019 / On January 24th, 2019, Ms. Sherry Li, CEO of Thompson Education Center, was honored to have been invited to the 10th Annual Ivy Football Association Dinner. "TheIvy Football Association was founded in 2000 to honor and celebrate Ivy League football and its rich tradition of producing many graduates who have become leaders in their chosen fields or professions, including government, law, medicine, business, the arts, education, and religion." The ceremony hosted by Chris Berman, Brown University graduate, and Jack Ford, Yale University graduate, awarded the Ivy Trophy to the current Yale and Princeton team coaches. 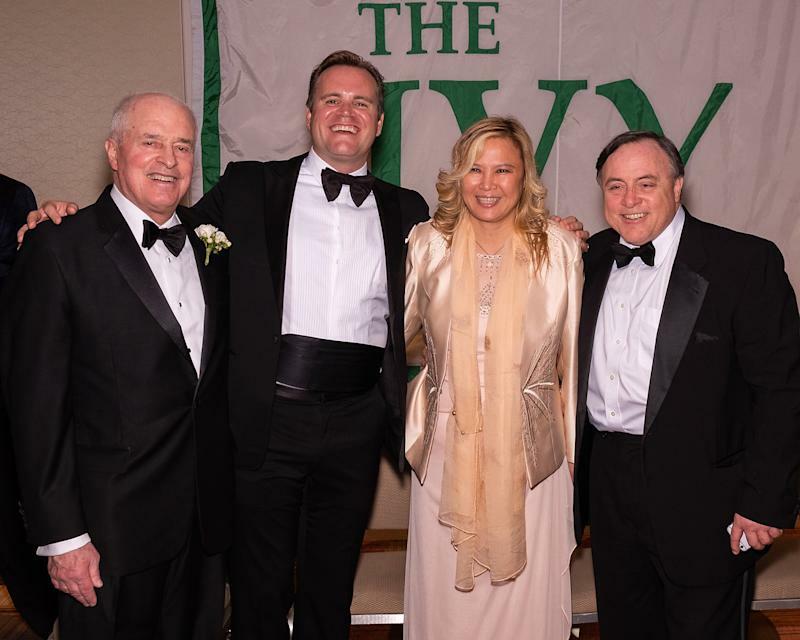 The dinner introduced Bushnell Award Winners and the "2019 Ivy Football Association Honorees". 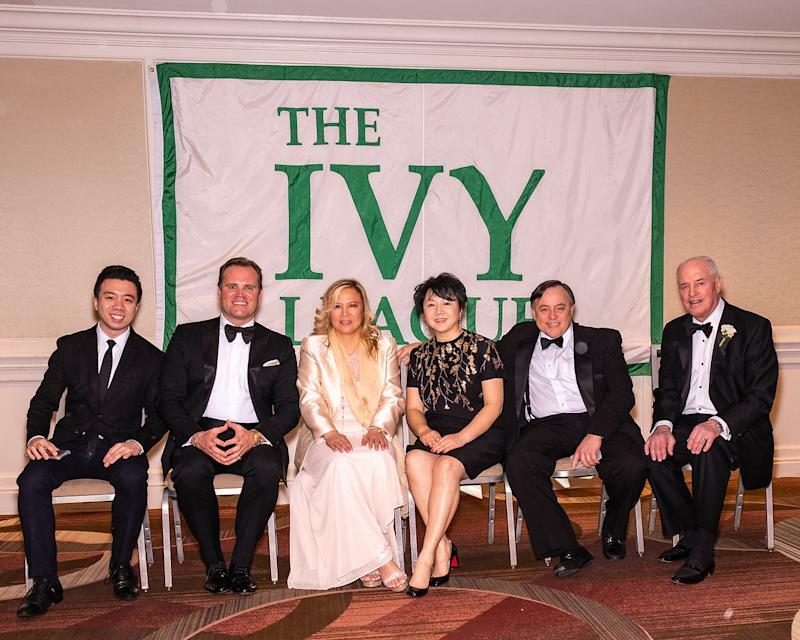 Eight honorees graduated from Eight Ivy League Universities. In recognition of their roles as a member of a former football team, they also earn extraordinary achievements in their career field after graduation. The eight honorees are Mr. William O'Brien from Brown, Mr. Paul McCormick from Columbia, Mr. George Arangio from Cornell, Mr. Hon. John Carney from Dartmouth, Mr. Joe Azelby from Harvard, Mr. Gavin O'Connor from UPenn, Mr. Jason Garret from Princeton, and Mr. Kevin Czinger from Yale. Among all the honorees, Mr. Gavin O'Connor delivered a very moving speech that touched everyone's heart. Like the movies he directed, he can always get people's attention. Thompson Education Center's CEO, Ms. Sherry Li knows one of the honorees, Joe Azelby. As CEO of JP Morgan's Global Real Assets Group, Joe led an assets management team with 500 professionals in it to manage $95 billion in assets around the world. In his speech, with his great sense of humor, he shared some of his real life stories. All of the honoree speeches made the dinner fun and left participants with vivid memories of the dinner. "The IvyLeague is the most diverse intercollegiate conference in the country with more than 8,000 student-athletes competing each year. Sponsoring conference championships in 33 men's and women's sports and averaging more than 35 varsity teams at each school, the Ivy League provides more intercollegiate athletic opportunities per school than any other conference in the country." The eight universities of the Ivy League are Brown University, Columbia University, Cornell University, Dartmouth University, Harvard University, University of Pennsylvania, Princeton University and Yale University. They "share a rich history of success and influence in college athletics, dating back to the origins of intercollegiate competition. Ivy League institutions have won 287 team national championships and 579 individual national championships since intercollegiate competition began." CEO of ThompsonEducation Center, Ms. Sherry Li had an in-depth conversation and discussion with William G. Primps, Ivy Football Association Dinner Chairman, and Alexander Tennant, chairman of Board of Education and PhD in Education at Harvard University, plans to set up Thompson Ivy League Advisory Board for offering students with various Ivy League sports and education program. Also, TEC plans to provide application counseling, exam preparation and tutoring for the students by "The Butler MethodInternational", a "comprehensive educational consulting company - with expertise in admissions counseling" and is "one of the premier university admissions advisors." Mr. Matt Butler is the founder and CEO of the company. After graduating from Harvard University, Mr. Butler specialized in admission counseling. ThompsonEducation Center plans to launch the Ivy League Sports Week to provide students with an opportunity to participate in a one-week sports training at the Ivy League Universities. Students will receive training from coaches at different schools, and the sports include football, basketball, soccer, baseball, lacrosse, track & field, etc. Sports Week will be named after the university that provides coaching and training resources and will be held at that school. For example, students attend Harvard Football Sports Week at Harvard University, or Columbia Basketball Sports Week at Columbia University.